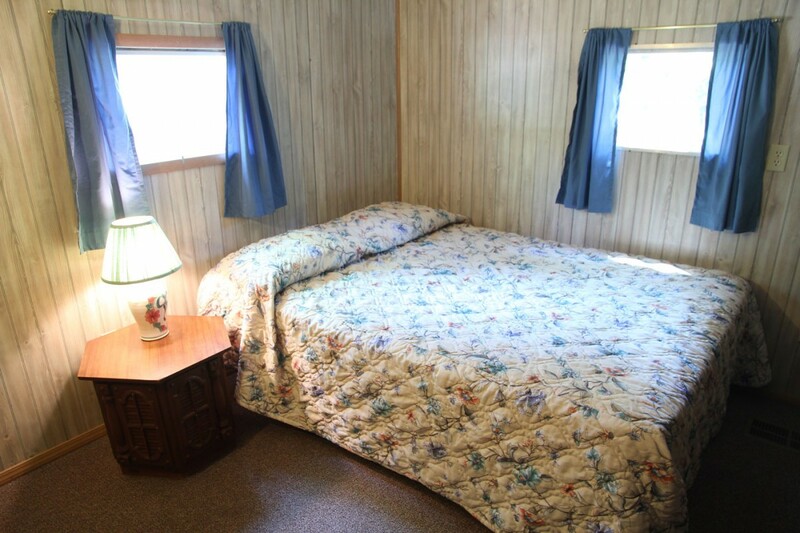 Sleeps up to 8 people. 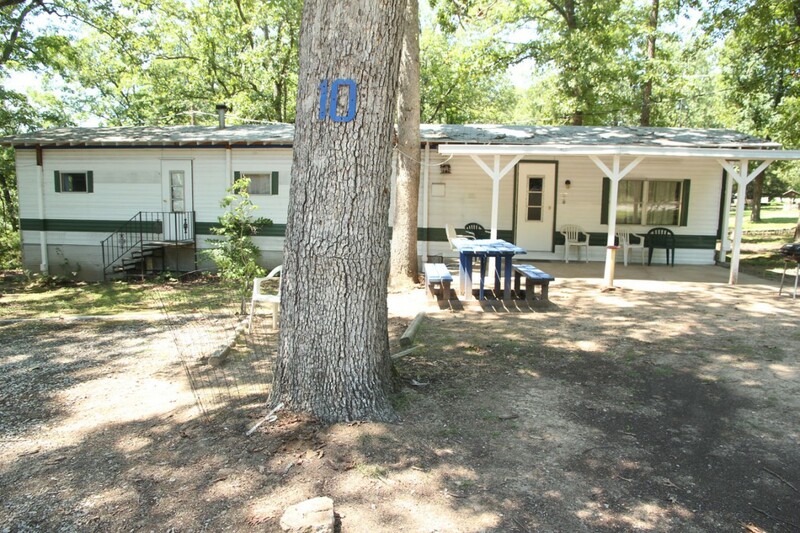 We have one of these large cabins and is great for large families or small groups. 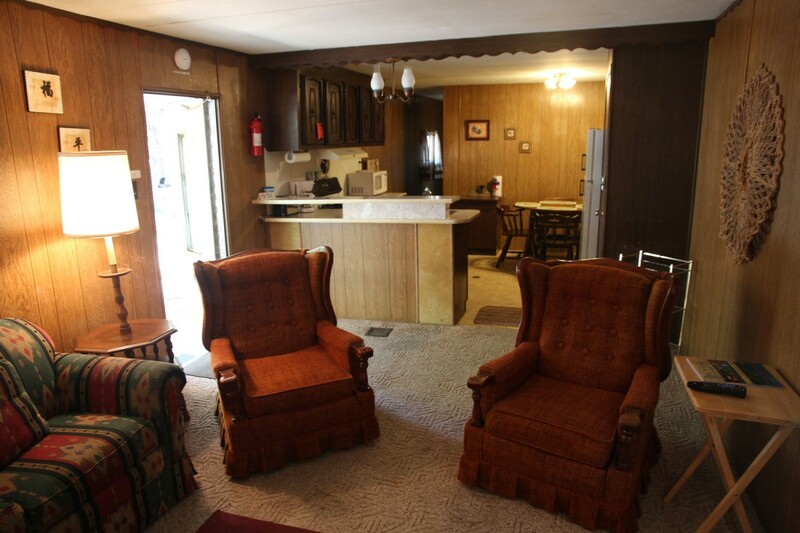 In addition to the fantastic amenities below, this cabin offers a large covered patio. 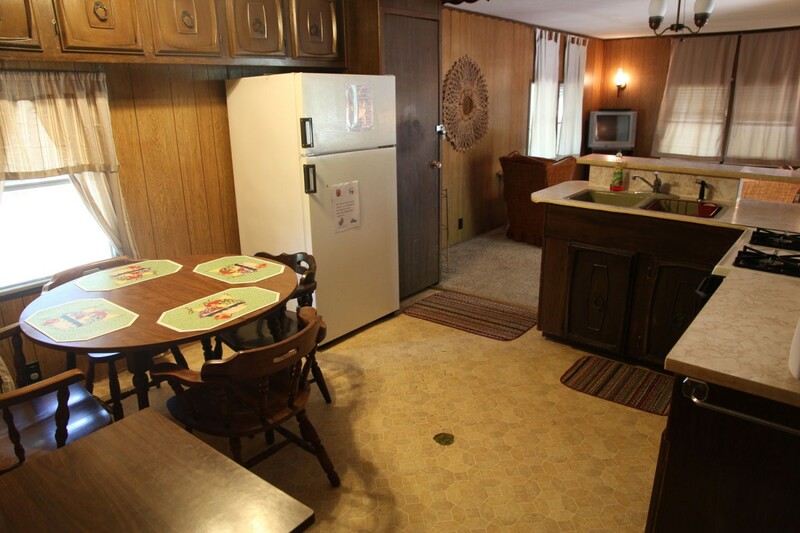 Full kitchen with stove, oven, refrigerator, dishes, pots & pans, toaster, drip coffee maker, and microwaves. Linens for the beds, bath and kitchen along with dish and bath soap. 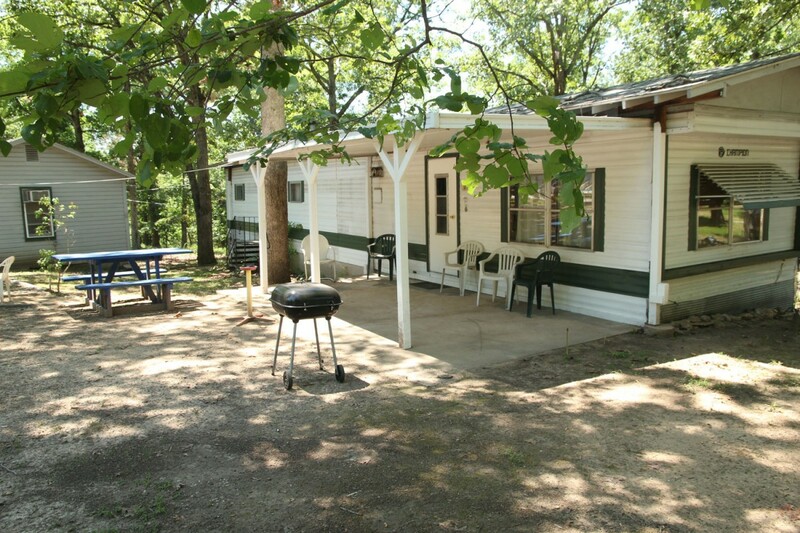 Covered patio, BBQ grill, fire pit and a picnic table. 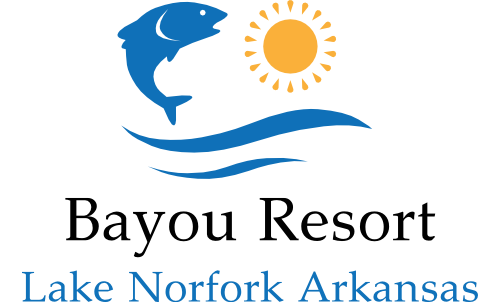 Access to all Bayou Resort facilities including laundry, pool, playground, convenience store, large covered group gathering area, and more.